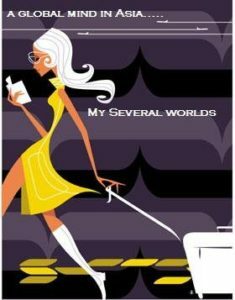 I’m the kind of traveler that takes my time deciding whether or not I truly like a place. It’s not uncommon for me to leave a place thinking one thing and end up thinking something completely opposite six months later. Places will do that to you when they really touch your heart. Tbilisi is one of a handful of cities around the world that grabbed my attention right away, and the city has continued to hold my attention ever since. It’s one of the best walking cities I’ve ever been in, and when I look back on my photos today, I long to go back and travel Tbilisi again. Divided by the Mt’k’vari (Kura) River, which extends for more than 30 km from the Avchala District to the River Lochini, the city is built along the foothills of the Trialeti Range, with the mountains offering a barrier to development on the ride side of the Mt’k’vari River. In the photo below, you can see how the city sprawls out over the foothills, while in the distance, you can see a number of churches and cathedrals. 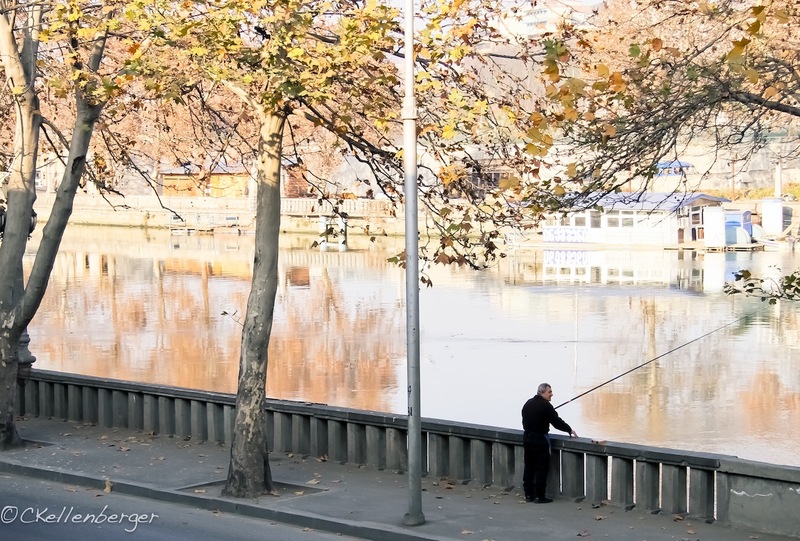 A local fisherman spends a chilly December day fishing at the river. Tbilisi is an enthralling mix of different styles of architecture and peoples from diverse backgrounds and religions. At any given point, if feels like you’re falling through the ages and stepping into another era. 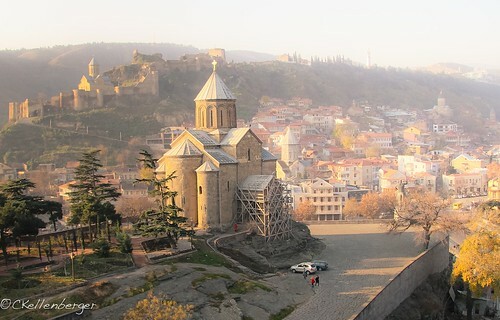 Notable tourist destinations within the city include stunning stone cathedrals such as Sameba and Sioni, the classical structures of Freedom Square and Rustaveli Avenue, as well as the medieval Narikala Fortress, pseudo-Moorish Opera Theater, and the Georgian National Museum. Who wouldn’t fall in love with a city as eclectic as this? 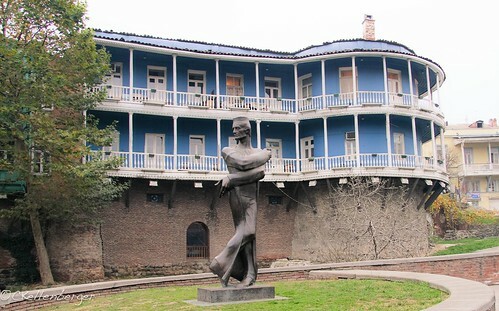 This apartment building complex, for example, is built on top of the old city walls, which were built after Tbilisi was razed by the Persians in 1795. Shortly thereafter, Georgia became a protectorate of Russia and buildings starting going up around the walls on either side around the same time. 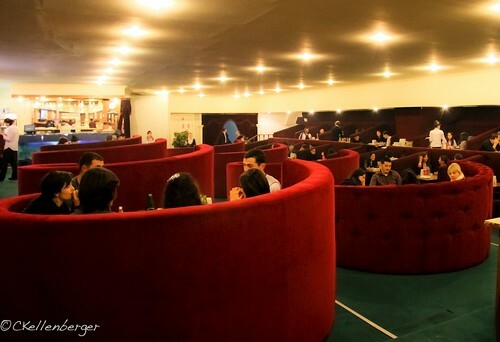 A traditional kinkali restaurant in downtown Tbilisi is decorated with obvious Soviet influences. Freedom Liberty Square in downtown Tbilisi lights up at night. Having served as the capital of Georgia for nearly 1500 years, it’s no wonder that Tbilisi represents the industrial, social and cultural center of the country. An ancient legend claims that Tbilisi was once covered by forests and widely hunted by King Vakhtang I Gorgasali, who supposedly discovered the sulphuric hot springs buried under the city somewhere around the year 458. 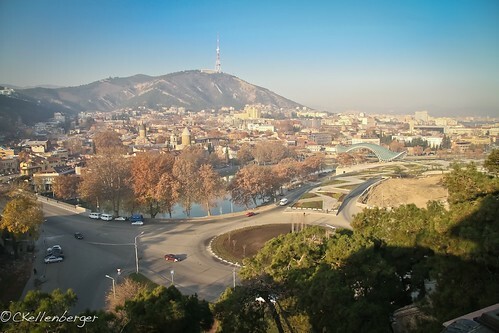 Upon his discovery, the king decided to build himself a city and henceforth the city was known as Tbilisi, which derives from the old Georgian word “Tpili“, meaning warm. 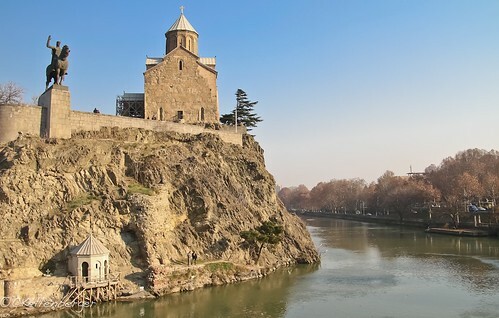 A view of the Church of Metekhi, with the fourth century fortress of Narikala in the distance overlooking Tbilisi and the Kura River. 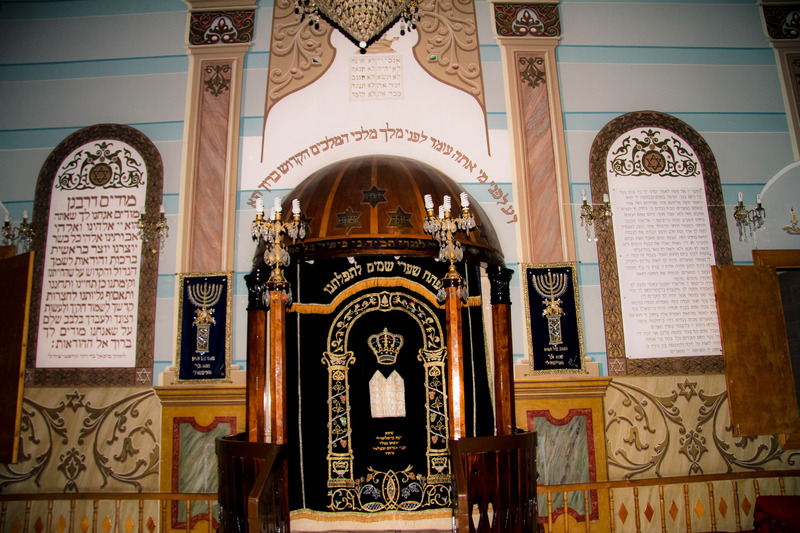 Tbilisi’s sulphur baths and botanical gardens can be found nearby. Romantic stories such as this are abundant in Georgian culture and it’s easy to see why the city has such a long and checkered history. It was built for beauty, destroyed by conquerers, and emerged from the ashes of destruction, yet the city endures and continues to seduce even the most seasoned travelers. 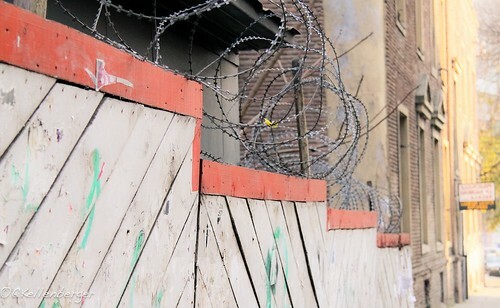 Barbed wire fences and some shops in Old Tbilisi demonstrate that crime was once in problem in the city. 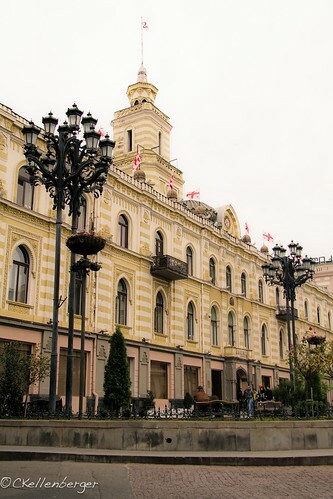 Old Tbilisi, the capital’s unique and ancient district, boasts cobblestone streets and winding roads, quaint apartment complexes and Tbilisi’s signature ‘hanging’ wooden balconies. 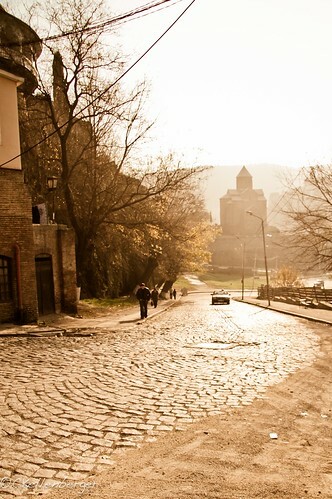 Sunset in Old Tbilisi washes the world in gold, turning it into a stunning view into the past. 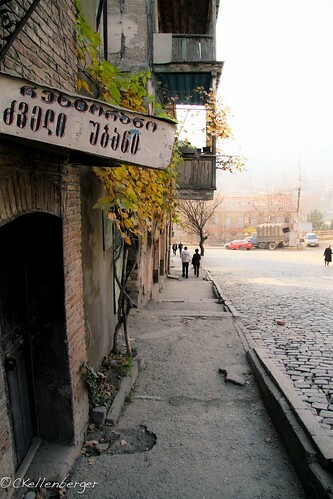 Tbilisi is famous for its ‘hanging’ wooden balcones and stepped sidewalks. So beautiful and truly not what I would have expected. Well, I don’t really know what I would have expected. I wasn’t really sure what to expect either. I was very pleasantly surprised though. Love your site! Your photo essay on Tbilisi has given me a view of Georgia I never expected – what a beautify city. Thank you. 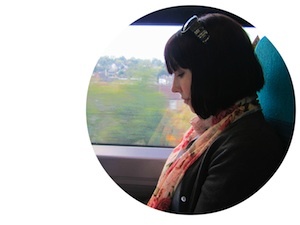 Thank you, Clare. I’m glad you enjoyed it. 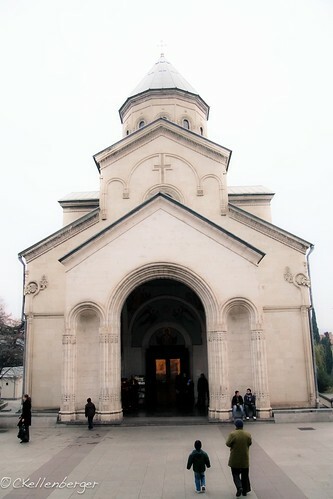 I am captivated with Tbilisi where there are lots of churches and architecture. It somehow resembles a suburban place in London. I <3 GEORGIA! 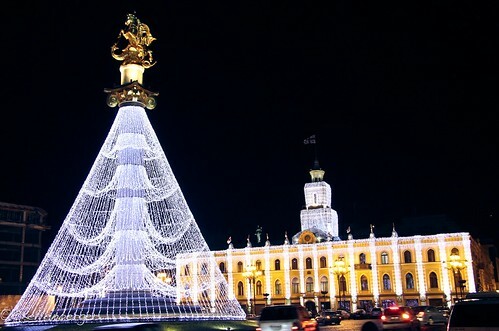 Feels like really good to visit Tbilsi this Christmas break! I was surprised that I really hadn’t thought that Tbilisi was really amazing! 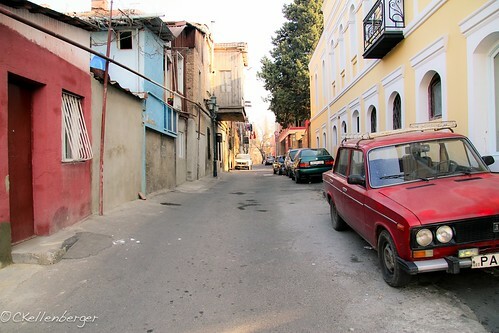 Nice photos, like most I was pleasantly surprised by the beauty and architecture of Tbilsi. Exploring on foot is the best way to get to know any city. I didn’t make it to Georgia when I was in that part of the world, but it is now on the list for whenever I make it back there. Amazing photographs. You have a wonderful eye for light. The view of Metekhi is amazing. Thanks for sharing. 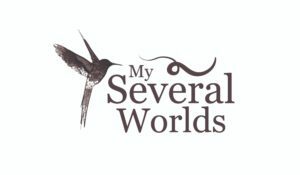 That is a really unique area of the world Carrie, and your pictures help to capture that. 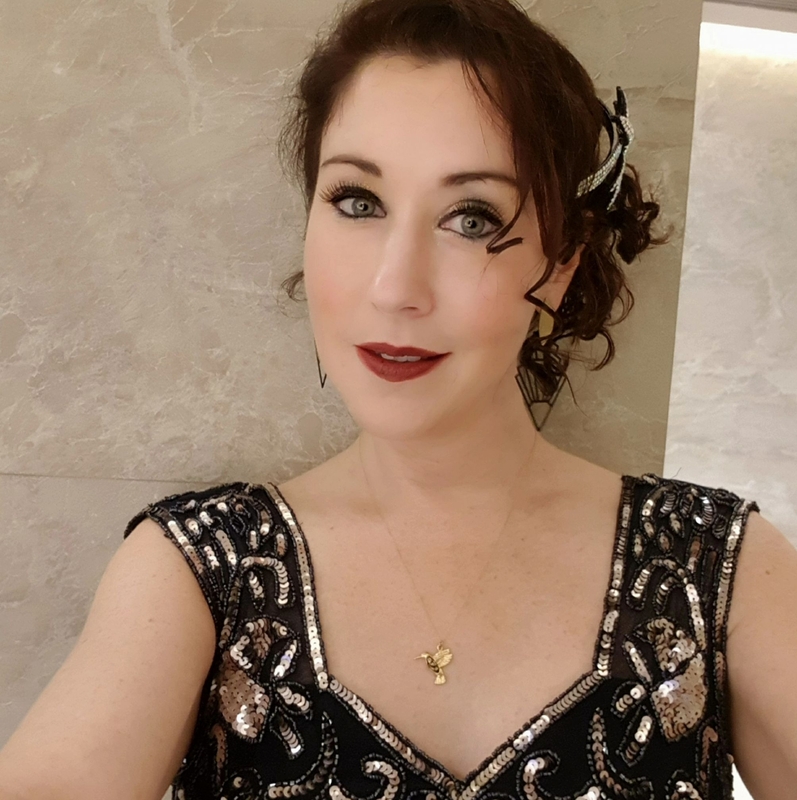 Beautifull pictures, thanks for sharing! I had always heard that Tbilsi was a beautiful city. You managed to take some great photos of the place. It wasn’t difficult. There are plenty of terrific photo ops! Thanks for commenting.